MASSP offers a Future Administrators Scholarship in the amount of $1,100.00 to a graduate student in at least the second semester of an approved course of study for the Master of Education Degree in Secondary School Administration. The candidate cannot be financially supported by a school district, cannot receive both the MAEMSP and MASSP scholarships, and must intend to continue working in Montana. Applicants must also provide a summary stating reasons why he/she has chosen to become a Middle or Secondary School Administrator. To access the form and apply, please click 2019 FUTURE ADMINISTRATOR SCHOLARSHIP. You must submit a completed application by December 14, 2018. 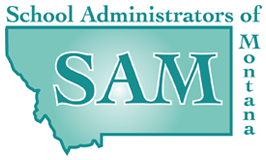 Questions: Contact Kimberly Scofield, Director of Member Services and Professional Learning at [email protected] or 406-442-2510.